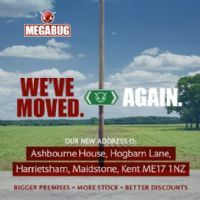 Mega Bug Shop specialising in all types of car parts for air cooled VW Cars and Vans, our stock is updating daily please check back on a regular basis, should you not find what you are looking for please do not hesitate to Contact Us we are always happy to help! Since we were established in 1980, we have grown to become one of the UK’s leading suppliers of classic VW Beetle parts and Type 2 spares, to keep your vintage Beetle and camper running and looking like new. 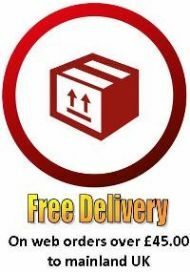 We stock a huge amount of body parts from the original VW Beetle to the Type 2, T25 and T4 models. We are enthusiasts ourselves and know how important it is to have your Beetle looking and driving like new, that’s why with all of our body parts, engine spares, through to the windows and glass, we stock all of the classic VW Beetle parts which are needed to restore and maintain one of the most iconic cars ever made. We stock over 10000 different parts, ranging from second hand, to reconditioned, through to brand new parts perfect for repairs and spares for your classic VW. All of the products that we sell are thoroughly checked and all of our second hand engine and body parts are guaranteed to be in impeccable condition for their age. The majority of our parts and spares come directly from classic VW Beetles and campers that we have personally dismantled, making sure that even if the car is no longer in working order, that a Beetle enthusiast from anywhere across the globe can make use of the part. We also import many body parts for Type 2, VW Beetles from the U.S, allowing the UK market to have access to spare parts which would otherwise be extremely difficult to source! If you are looking for new parts or reconditioned spares for your VW Beetle, we have everything that you’ll need. If you have any specific classic VW Beetle parts, Type 2, Type 3 or Karmann Ghia parts that you need, but aren’t available online, contact us as we will probably be able to source it or already have it in stock. We are trusted by thousands worldwide, so if you are a classic car enthusiast and looking for VW Beetle engine spares, body parts, or just about anything else Volkswagen give us a try. buy in confidence from us today!